Can i play the Rock Band 3 Pro Keyboard with a Yamaha psr-e413 keyboard ? I have a Yamaha psr-e413 keyboard. Can i play the Rock Band 3 Pro Keyboard? This Yamaha psr-e413 has no input MIDI or output MIDI. It has '' USB MIDI to Host ''. What would I need to do to be able to play Pro Keyboard? Any midi device that can output notes C3 to C5 through 5 PIN MIDI cable can be used to play pro keys. If your device only have USB MIDI you can use a computer to translate to 5 PIN MIDI cable. So in your case you'd need a computer, a Type B to Type A USB cable,a USB to MIDI cable and of course the MIDI adapter for rock band. I´m courious too, hahaha, i have a Yamaha PSR-343, is the older model of your keyboard, so, someday I asked to a selesperson on a music store recently the same question, and yes, has a MIDI-USB cable to play on pc or others devices but i didn't know if works on a midi pro adapter for rock band 3. Thanks for the tips Alternity, but the C3 and C5 in this case is the octaves from the C notes ? (i'm newbie in keyboard theory, i'm a guitar player). Yes, they are the 25 keys that RB3 expects for Pro Keys. I'm a bit late, sorry, but yes, it's possible. You're gonna need a USB to MIDI device though, I have a ESI RoMI/O my dad gave me a while ago, but anything works, really. 5. Use MIDI-OX to "route" the output from the keyboard to the USB to MIDI device. 5. Play a few notes to ensure it is working. The events should appear on MIDI-OX's screen, and a small light will blink on the MIDI-PRO Adapter. If the MIDI-PRO Adapter blinks in a SOS pattern, it means it's not picking up the keyboard's input. 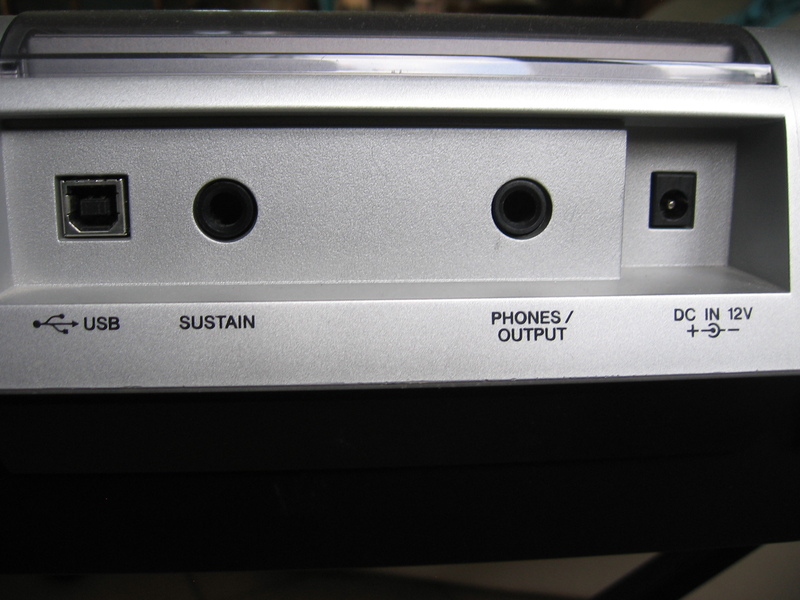 Check your connection, but it's probably the USB to MIDI device, or MIDI-OX isn't configurated properly. If no MIDI events show up in MIDI-OX when you play on your keyboard, ensure you've configurated MIDI-OX properly, or that the keyboard's USB cable is properly connected. Troubleshooting dropped notes, if it ever happens, might be a bit more troublesome, since it can be anything. It's a bit of a mess, initially, but once you get it to work it's alright, really. That's how I play drums on my Yamaha DTX-400k. Again, sorry for bumping this, but it might be helpful for people searching the forum for an answer (and for the OP, of course). So, here you go. Feel free to shoot any questions, if you have them.